If you have a small cauldron pot from Halloween--here is a great and very inexpensive game idea for St. Paddy's Day. This is a concept from Family Fun magazine that I used for our Halloween party last year, and am now adapting for St. Patrick's Day. 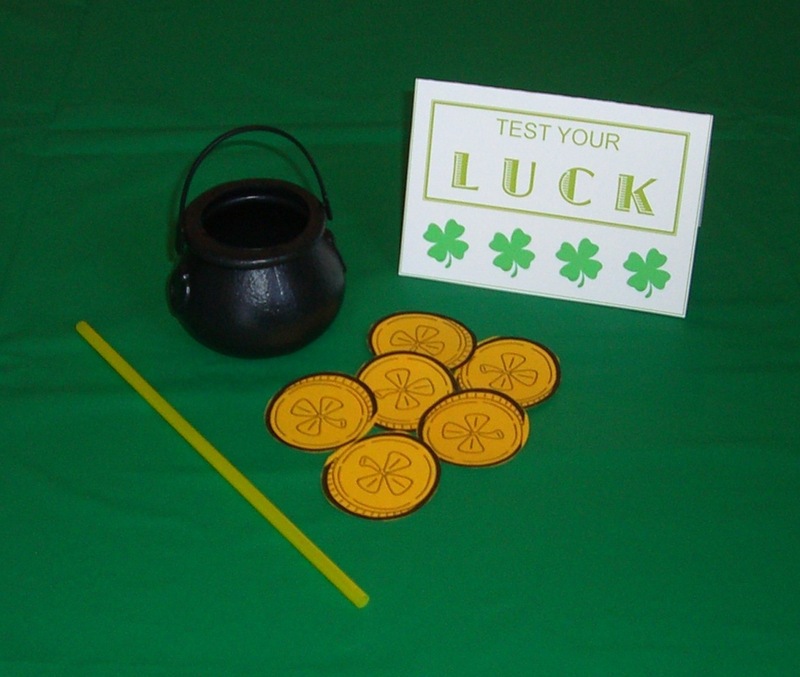 Using the straw as a "vacuum" the child picks up a "gold coin" and transfers it into the "pot of gold." If you go with the multi-pack, give each child his own pot. Whoever gets the most gold coins in, during a specified time, wins. This kept my girls entertained for a long while. Even if you don't use it for St. Paddy's Day, I suggest making your own variation of it and keeping it on hand for rainy days! What a fun game. I think my oldest would have a blast with this. Thank you for sharing. I'm a new follower. Hope to see you at DIY Home Sweet Home on Monday for More The Merrier Mondays Link Party. Great game! I am going to try it with my kids. I knew I should have grabbed up some cauldrons on clearance, after Halloween!!! How fun!!! I'll have to try this with my kids! Thanks for sharing at the For the Kids Friday Link Party at Sun Scholars! I look forward to having you back this Friday! Two Different Ways to "Bunt"